Chadwell St Mary Primary uses the Ruth Miskin Read Write Inc. Phonics programme to teach children the vital skills of decoding in Key Stage One. It is an inclusive literacy programme for all children learning to read from foundation stage, designed to help create fluent readers and confident speakers. At the core of Read Write Inc. is the lively and vigorous teaching of synthetic phonics. The 44 common sounds in the English language are taught, alongside how to sound blend words for reading (decoding) and spelling (encoding). Using a mix of fiction and non-fiction books with words they can decode, children learn to read fluently. 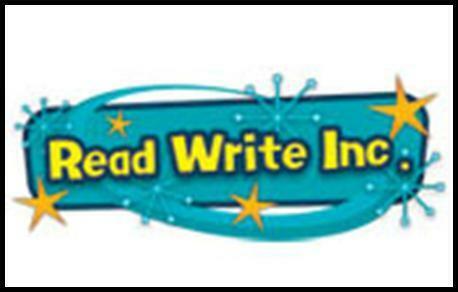 The Read Write Inc. teachers are made up of a team of teachers and teaching assistants who teach enthusiastic and fast paced lessons to small groups of children at the same level of reading each day. Participation and praise are key so children feel encouraged and confident to achieve early success in reading. At Chadwell St Mary Primary school our aim is for children to complete the programme as quickly as possible. The sooner they complete the programme the sooner they will be able to choose books to read of their own interest, and develop a lifelong love of reading. *We are currently working with the Trust to update our reading policy alongside the use of Read Write Inc to ensure we are developing lifelong readers. At Chadwell St Mary children are rewarded for reading at home. This year we have a 'reading sea' in our hall and for every 25 reads a child does at home they get to add a piece to our reading sea. Look below to see how much we have read this year! Well done Chadwell St. Mary!